I hope you are having a great Sunday. My name is David Ruben and I have been a bankruptcy lawyer in Maryland for almost 23 years. I love what I do. Tommorrow is one of those rare days that I do not have to appear in court, so I was thinking about what my day will bring. Aside from all of the written work that I have to do, I will probably (hopefully) field about 15-20 new phone inquiries about filing Chapter 7 or Chapter 13 bankruptcy. What continues to amaze me about the phone calls is that many of the people have been thinking about calling a lawyer for Chapter 7 or Chapter 13 bankruptcy for months, sometimes years, and have been reluctant to do so for fear of the unknown. People are actually afraid to call me and scared of what they might hear. Many people, after we have our consultation, say "wow, that was easy, I was expecting that to be much worse, I feel so relieved." 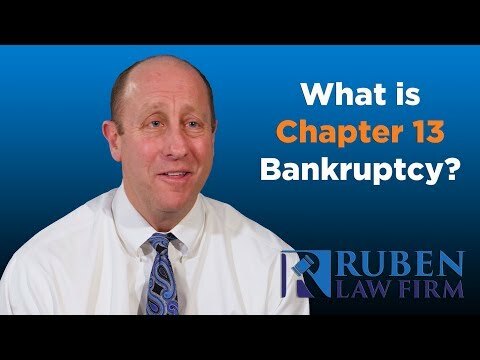 Despite what you might think or what people might tell you, Chapter 7 and Chapter 13 bankruptcy are GOOD avenues to take. In 23 years I have never had a client call me after the bankruptcy and say "damn it, I wish I hadn't done that!" That just doesn't happen. Do you know why? Because if you have already taken the step to look online or call a bankruptcy lawyer, bankruptcy, as long as you are eligible, is the right thing to do. Chapter 7 clears up your debt and gives you a fresh start. Since your credit is likely already bad, there literally is no downside to a Chapter 7. Chapter 13 allows you to prevent a foreclosure or reorganize your debt if you earn to much money to file Chapter 7. Again, no downside. We offer a free consultation in all cases. If Chapter 7 or Chapter 13 bankruptcy is not right for you, we'll tell you. If it is, we'll help you. It is really that simple. Call me today at (410) 766-4044 for your free consultation, and have a great week.